“Rail Transit in America”, Todd Litman, (2008), Victoria Transport Policy Institute, p14. What Are the Benefits of Going by Rail? Whether they are shipping goods across the country or travelling from the suburbs to city center, companies and commuters rely on light rail or freight services in big and small cities across North America. The costs of driving (gas, insurance and parking) seem like they are constantly on the rise, so municipalities are investing in cost-effective transportation infrastructure options. While rail transportation has some critics, there are some obvious and some not-so-obvious benefits to commuting by train. 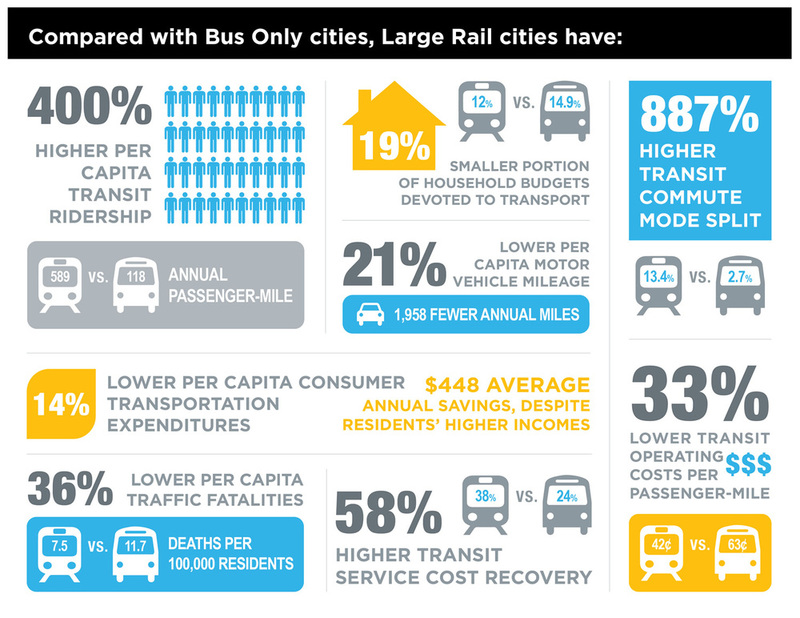 Many of these benefits result from rail’s ability to create more accessible land use patterns and more diverse transport systems, which reduce per capita vehicle ownership and mileage. These additional benefits should be considered when evaluating rail transit.